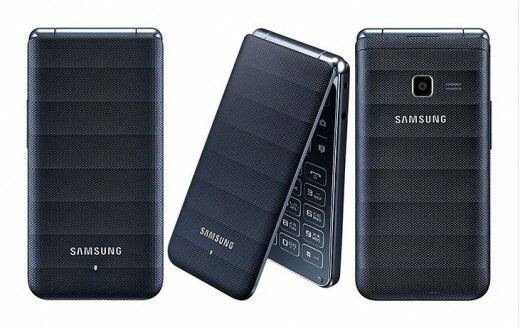 The Samsung Galaxy Folder comes as the successor of the flip-phone device, having the same name, released back in 2013. It device revives the flip-device range of the company, however, there are no specified plans whether the phone will be succeeded further or not. The phone will first be released in Korea next month, and then it might come to other major markets/countries of the world. The phone is expected to come in two color variants, being white and dark blue. Unlike most of Samsung’s top-end flip phones, which contain dual-display, one on the inside and the other on the outside of top half, the Galaxy Folder unlocked cellphone comes with a single touchscreen. The size of the screen is 3.8 inches, with a resolution of 480 x 800 pixels. The ppi (pixel per inch) density of the device is 246. The dimensions of the device are 122 x 60.2 x 15.3 mm, and the phone weighs 155 grams. The phone runs on the latest Android Operating System, which is Lollipop v5.1. The phone is usable via the use of the touchscreen, as well as they keypad. A Quad-Core 1.2 GHz processor is powering the Samsung Galaxy Folder, which is quite sufficient for a lag-free performance. The phone is expected to offer a smooth experience, without the user experiencing any shutters. The unlocked cellphone features 8 GB of internal storage for installing applications, and 1.5 GB of RAM for running the applications as well as multi-tasking in between them. The phone consists of a SD card slot, which makes it possible to further increase the storage. The storage can be expanded up to 128 GB, which is more than sufficient for anyone, and this can be used to store various files, media content such as audio, video etc. The Samsung Galaxy Folder is packed with an 8 megapixel rear-facing camera, with a F2.2 aperture. There is no flash provided in the device, however, the device can click photographs of resolution up to 3264 x 2448 pixels. The camera is also capable of recording 1080p videos at 30 frames per second. Another 2 MP front-facing camera is provided in the phone for clicking selfies, video chatting etc. The unlocked cellphone’s camera is expected to capture decent quality shots, with fine amount of details in it. The phone supports a 1500 non-removable mAh capacity battery, which is more than sufficient for a mediocre device. The device is expected to last 1-2 days or more, depending on the usage of the device. Having a smaller screen exponentially increases the battery life of the device, which can be a bliss for many business people. The Samsung Galaxy Folder is expected to support 3G, 4G connectivity along with Wi-Fi, Bluetooth, GPS, and USB connectivity. Being able to support 3G and 4G will be a great asset for people, who wish to switch to a smartphone, but cannot get themselves comfortable with a big touchscreen smartphone.